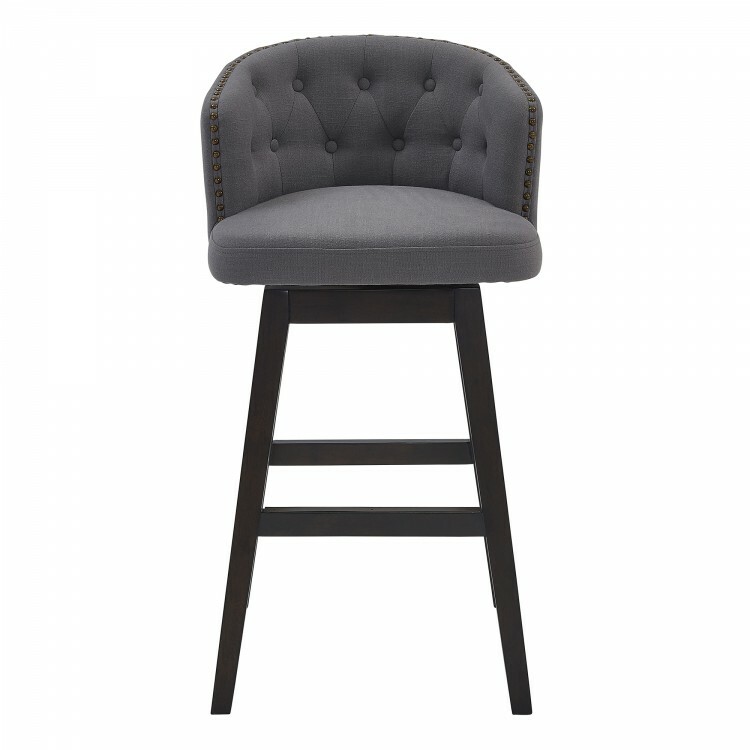 The Armen Living Celine modern barstool is the perfect fit for any contemporary household. 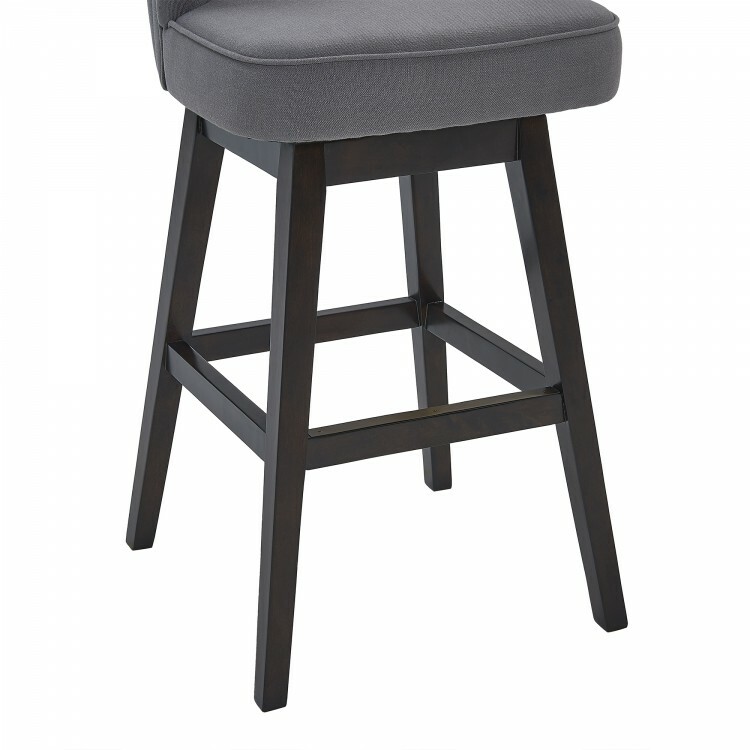 This exquisite barstool features a dependable eucalyptus and birch wood frame that is certain to maintain its durability for many years to come. 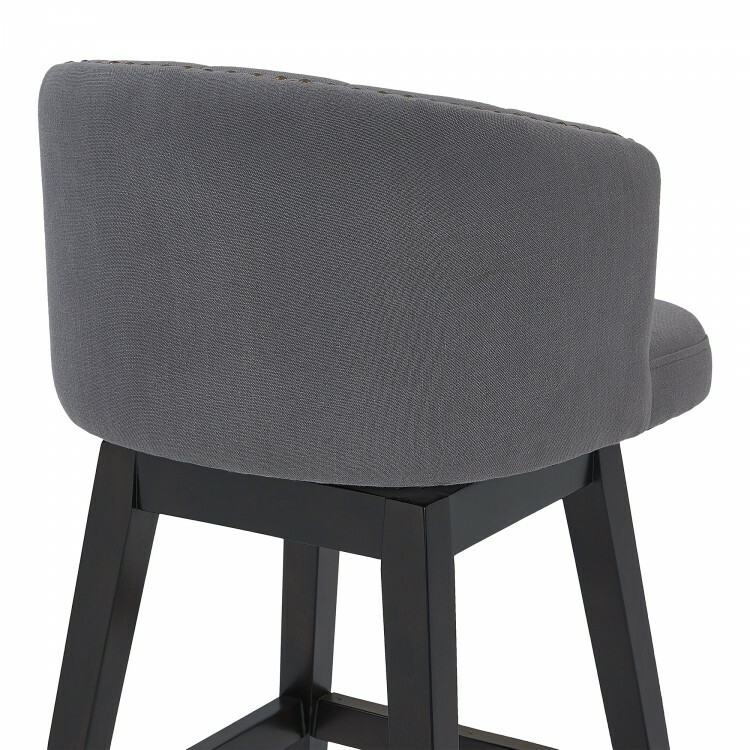 The Celine’s legs feature an Espresso wood finish and the plump, foam padded seat and back of the barstool are upholstered in grey fabric. 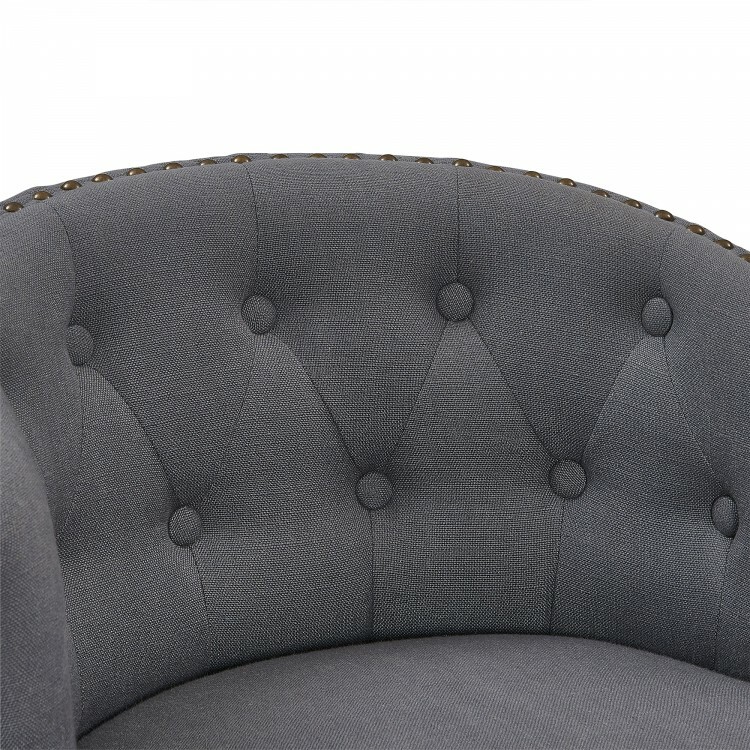 The back of the Celine is rounded and features tufted accents that add a unique aesthetic accent to the piece. 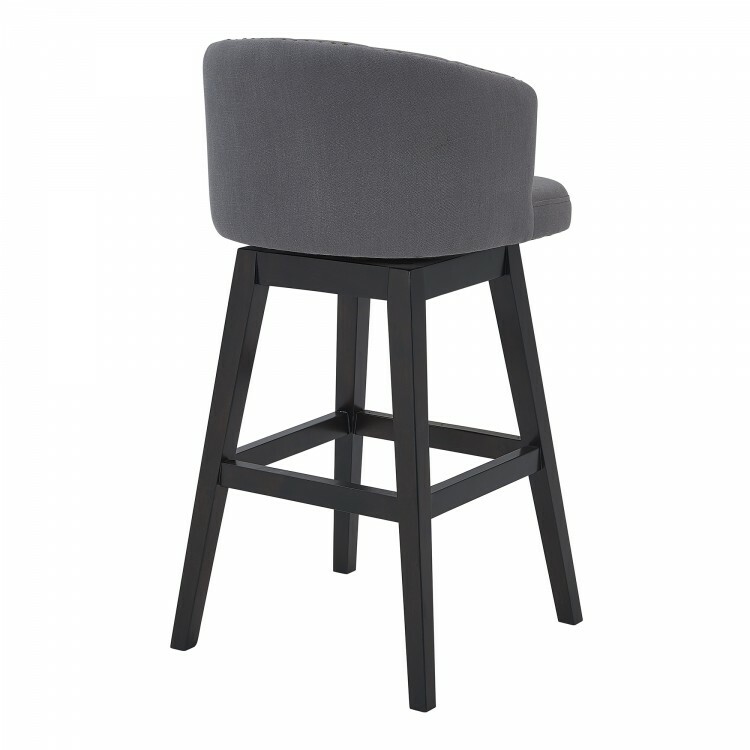 The barstool’s 360 degree swivel function allows for a wide range of movement while seated and the included footrest provides added comfort and support. 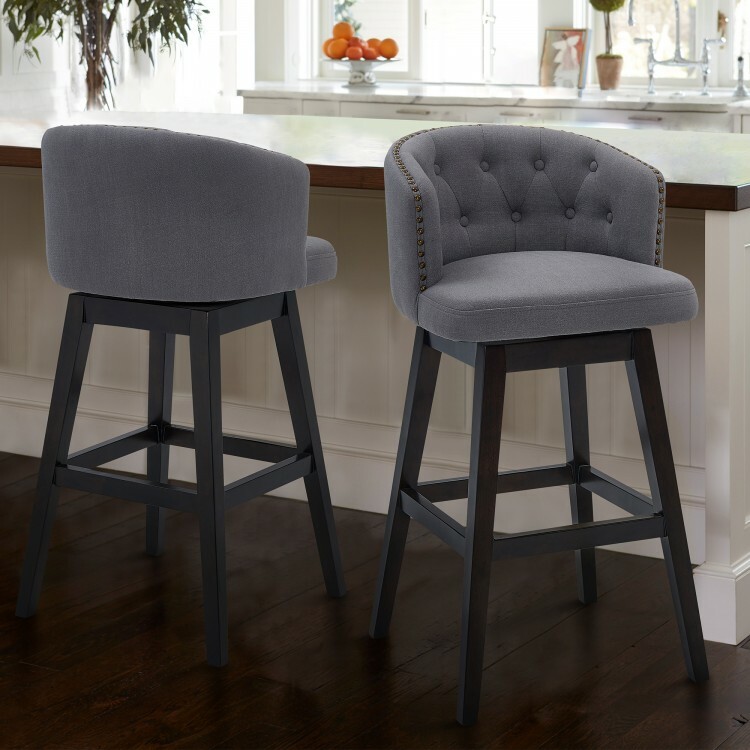 The Celine’s legs are tipped with floor protectors, assuring that the barstool will not damage floors when moved. 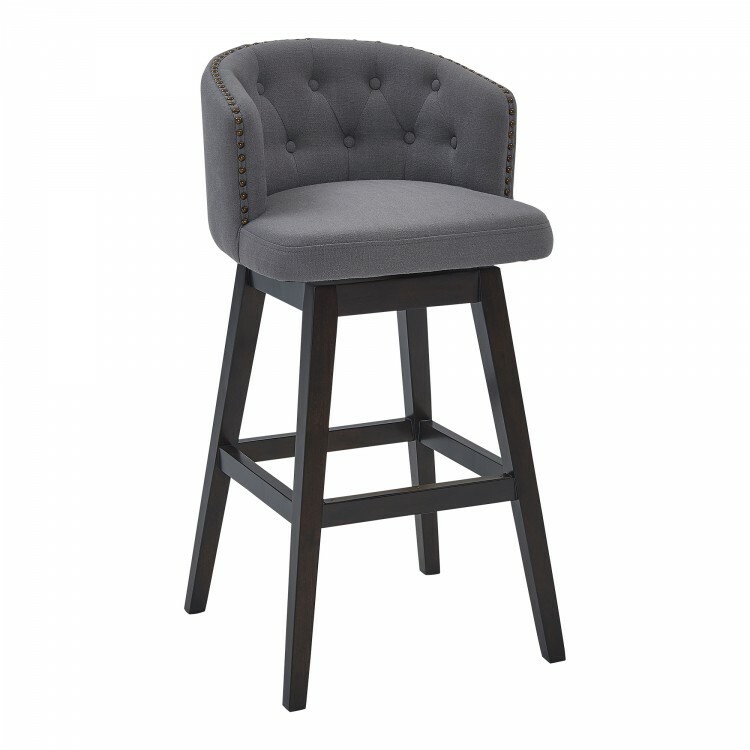 The Celine is sold in two industry standard sizes; 26 inch counter and 30 inch bar height. Product Dimensions: 21"W x 21.5"D x 39"H SH: 30"
Product Dimensions 21" W x 21.5" D x 39" H SH: 30"